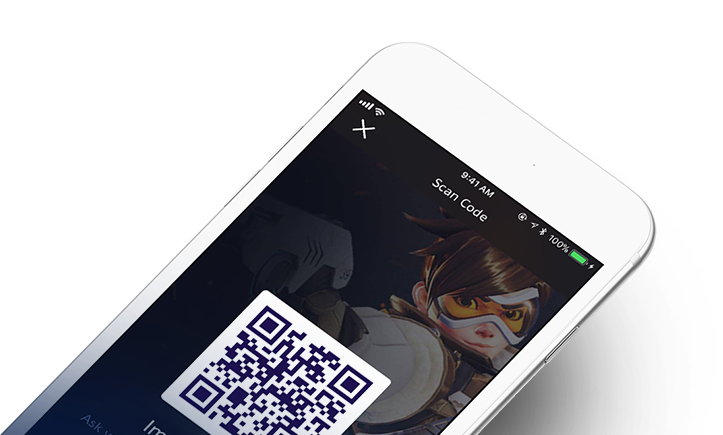 Download the Blizzard Battle.net mobile app to stay connected anytime, anywhere. With mobile chat, it's easier to coordinate play time, discuss strategies, or just stay in touch. 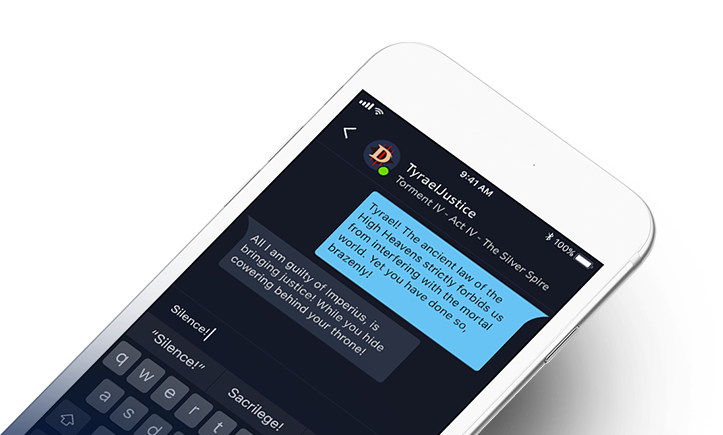 Even if your friends are unavailable or offline, chat history and notifications keep the conversation going. 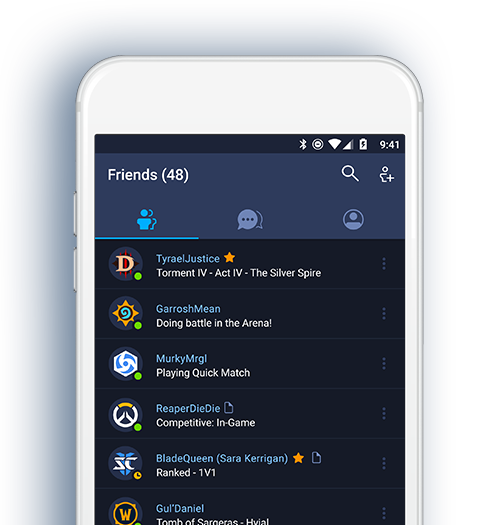 You can see at a glance what all your friends are up to, so you know when to jump into a game — or when to get one going yourself. Never miss an opportunity to play together.